The second stage of the 2018 Haute Route Ventoux got underway once again from Bédoin this morning, with riders heading out for a 133km route featuring 3300M of climbing and a summit finish on Mont Ventoux via the ascent from Malaucène. The start of the stage was given in slightly overcast conditions, with the sun rising behind a thin sheet of clouds in the distance as riders snaked their way up through the Gorges de la Nesque. Weaving their way in and out of the shadows riders made their way up the 20km of false flat before cresting into a descent and riding past Sault. The wildlife was out to play this morning, with a wild boar crossing the road in front of the race convoy and the birds swooping overhead as riders made their way up through the Gorges. A short downhill section ensued from the summit of the Gorges de La Nesque before riders took on the next ascent of the day up a new climb for the Haute Route, the Col de l’Homme Mort. Whilst its name is rather foreboding (translated as the Col of the Dead Man) the climb in itself is only 10km long with an average gradient of under 5%. Most riders remained in small groups on the wide snaking road and crested the summit together. A long portion of downhill and rolling hills then ensued over the next 50km, featuring the small climb up the Col des Aires and numerous punchy hills that split up the groups that had formed to work together in the plains. The smarter riders tried to remain grouped in small pelotons so that they could work together and conserve energy for the final assault on Mont Ventoux to finish the stage. Turning out of the town of Malaucène towards the Mont Ventoux, riders had a final opportunity to fill up their bottles and stock up on energy at a feed station before taking on the 21km ascent to the summit. Featuring an average gradient of 7.5%, the stats of the climb don’t tell the full story of the ascent to Ventoux from Malaucène. The first few bends are quite demanding, hovering around the 7-8% mark, but a number of flatter sections allow you to recover nonetheless. Once however you reach the heart of the forest and the heart of the climb, a long portion of approximately 3km features a gradient than rarely drops below 12%, and a road that drags in a tantalisingly straight line. Reaching the ski station of Mont Serein and riding past the Chalet Liotard, a flatter section allows riders to recover at this point before the final 4km of winding roads to the summit. Emerging from the trees in the final kilometers, you can make out the summit high above, and are able to countdown the turns until you reach the finish line. 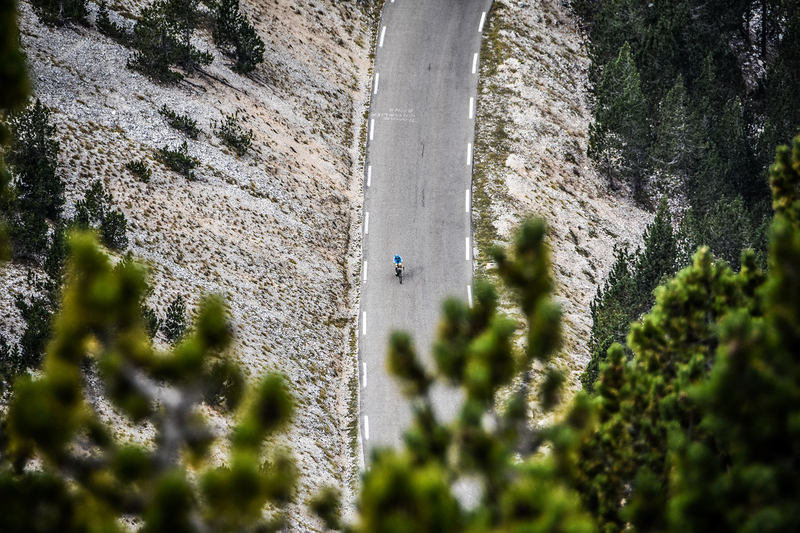 A new feature for the Haute Route Ventoux this year is the existence of an alternative route, allowing those who don’t feel up to the full demands of the course to take a shorter and relatively flatter stage route. Nearly 30 riders chose this route today, riding 106km with 1600M of D+ to finish in Bedoin rather than on Mont Ventoux. Tomorrow they will also have the option to finish at Chalet Reynard rather than at the summit for the time trial. At the front of the race it was Frenchman Antoine Berlin who won the stage for the men, crossing the finish line hand in hand with Ruari Grant the race leader. Janine Meyer took the stage win for the women. Viviane Spielmann conceded 8 minutes to Janine today and the leader’s jersey in the process. In the Duo competition it was Team Panavto Club who extended their lead at the front. With two stages now in the books, only the final stage time trial remains tomorrow between the hundreds of riders and their much deserved finisher medal. 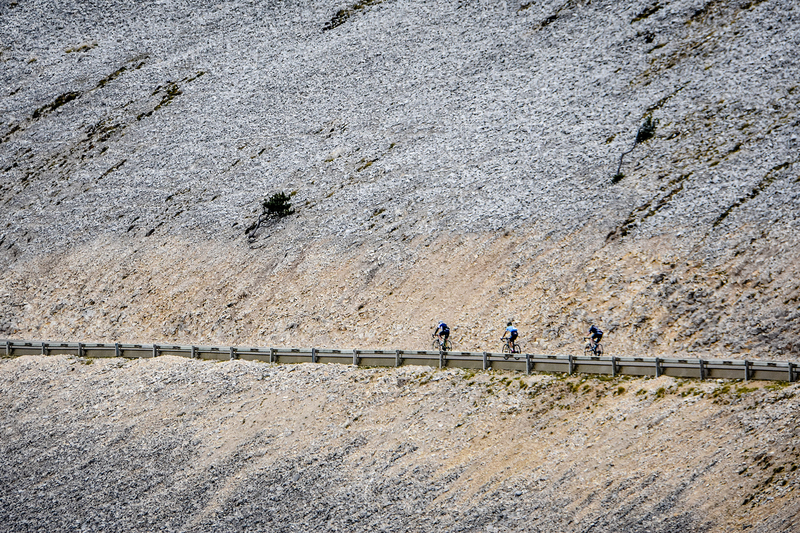 The 21.5km ascent from Bédoin to Mont Ventoux is the final test that remains, the most famous side of the Ventoux. riders will head down the time trial start ramp one by one in reverse order of the general classification tomorrow morning to take on this infamous mountain for the third and final time.